1. In 2002 the company was established. 2. In 2004, the establishment of plastic extrusion machinery Institute to study and study the German extrusion machinery technology. 3. In 2006, developed a continuous straight cone double reducer, for the Chinese machinery to jump on a step to contribute. 4. In 2007, developed a series of flat double reducer, the smallest 65, the largest 130, to fill the gaps in the domestic, while forming a high level of flat and cone series twin screw extruder, welcomed by the market warmly. 5. 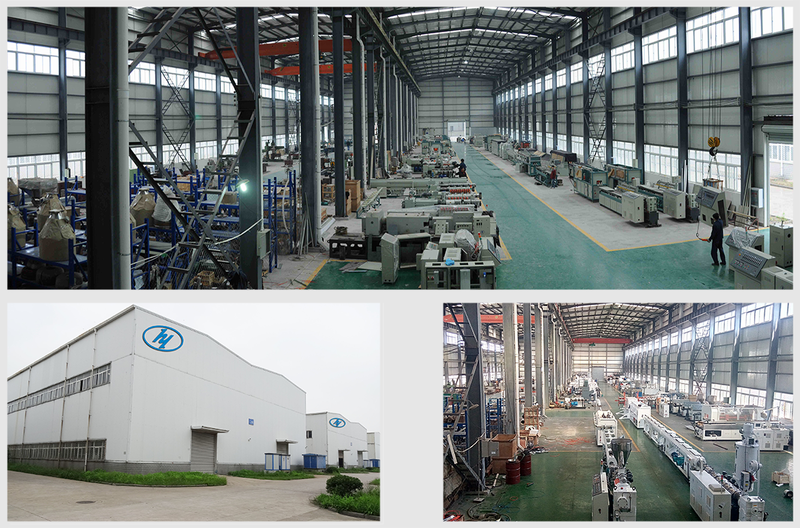 In 2008, the opening of its own 10,000 square meters of large-scale mechanical plant, as Huiyi large-scale production base. 6. In 2009, developed its own twin-screw split double alloy barrel, wear-resistant, long life, has been well received by customers, and some customers can even use 7 years. 7. In 2010, focusing on the development of Pakistan, India, Kenya, Algeria, Egypt, Saudi Arabia, Brazil, the United States, Portugal and other countries of the customer network. 8. In 2012 PE / PRR pipe unit R & D success, the most advanced and efficient single screw extruder, to achieve high yield, high efficiency, low energy consumption of the best results, screw barrel bimetallic, life than the general to extend 80%. 9. In 2013, flat double extruder on the steps, PS67 / 27 parallel twin extruder 30kW motor production reached 300 kg / h 90/27 to 500kg / h, PS107 / 27 extruder to 800kg / h.
10. In 2014, cone double extruder power unchanged, yield increased by 30%, ZS65 / 132 extruder production reached 350kg / h, ZS80 / 156 extruder production reached 550kg / h.
11. In 2014 sales of flat double reducer technology to India. 12. In 2015, with foreign experts to develop suitable for plastic machinery energy-saving devices, energy saving up to 25-30%, is currently applying for technical patents. 13. In 2016, the development of a new technology 630PVC large tube unit, high output, stable and reliable production, to the advanced level.